Una hasn't had an easy few weeks. Her ex-husband Ben Foden admitting to his infidelity last week, but instead of dwelling on it, the former Saturdays singer stormed the runway at London Fashion Week and turned every head. The 37-year-old appeared in Oxfam's Fashion Fighting Poverty Catwalk Show at Ambika 3 last night, showing off her fashionista roots. "It was a real honour to walk the Oxfam #fashionfightingpoverty fashion show as part of London fashion week this evening", showing herself in a black svelte outfit with a plunging neckline. She's looking FIERCE. The mum-of-two sported gorgeous black boots and loose black trousers, with her hair styled simply and tucked behind her ears. Very Parisian chic, we feel. She flashed a smile at the end of the catwalk, showing her excitement at representing the iconic charity in their fashion foray. The glamorous Irish star could easily pursue a modelling career, she looks like she was born on the runway. We're glad she didn't let her ex-husband's confession dampen her moment. In a recent interview, Ben admitted that he cheated on Una, but also claimed his infidelity wasn’t the only reason for the end of the relationship. "At the moment anything that’s published about me is never very good and pretty rightly so because I was the one who committed adultery. But at the same time, it wasn’t the only reason for our divorce to go through." "It’s not ideal, but we’re very amicable, we’re getting through it, we’re not the first people in the world to get divorced. We’ve got two little kids we adore," he concluded. Una is since loved up with her new boyfriend, Tipperary hurler David Breen, and appears unfazed by her ex. She's absolutely slaying the fashion runway anyway, and for an unreal cause. Herself and fellow singer Emeli Sande walked alongside supermodels as they took to the catwalk for Oxfam’s show to highlight sustainable fashion. The musicians joined top models Stella Tennant and Laura Bailey at the Fashion Fighting Poverty event, showcasing Oxfam clothes specially picked by stylist Bay Garnett from the organisation’s online and high street shops. 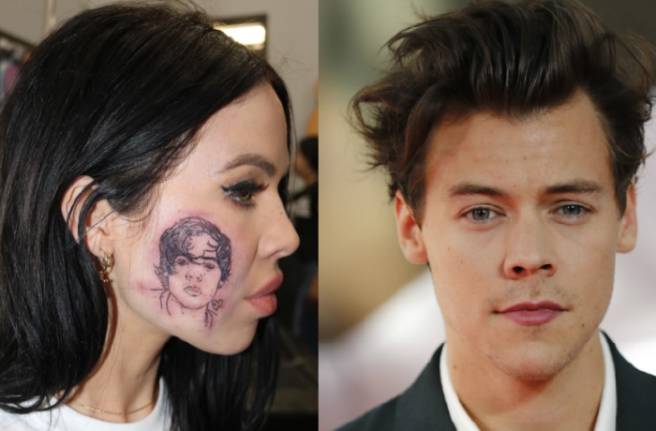 Have we all seen THAT insane Harry Styles face tattoo? The one that made everyone gasp out loud and question her sanity and life choices? Singer Kelsy Karter got the attention she was looking for, but not from Harry himself though. Twitter users were quick to point out that the ink actually resembled Frankie Cocozza far more, but still. As many of us have guessed, it has now been revealed that the tattoo was all a hoax in order for Kelsy to promote her new single, Harry. Yes, she's that dedicated to promotion. She's admitted the hoax was all for the sake of Harry Styles noticing her new song about him, and she has dropped a video explaining the whole fraud. She said she wanted to get the inking to ‘cut through the noise’ and get her music noticed by top music execs, and the general public. Oh, and it's dropped on Harry's 25th birthday. "My dog Diva died. My relationship ended. And the last thing I wanted to do was write another sad song about it." "But how were we going to cut through the noise to get noticed? What would the rock legends that inspired me have done in 2019?" Celebrity tattooist Romeo Lacoste was enlisted for the sake of the tattoo, which was based on Harry's Rolling Stones cover. The 25-year-old said Romeo traced the image and applied it to her face, and then used a special FX makeup artist. Of course, the absurd inking went totally viral. Websites and news sites globally covered the tatt, and everyone was talking about it. TMZ wanted to chat to her, and she even considered reapplying the tattoo. Because it's Harry's special birthday, Kelsy has made the choice to confess her fib. "This has always been about rock ‘n’ roll. Harry is an anthem for the fans. The tattoo is gone. All that’s left is the music. Which is what my rockstar team and I had planned all along." The Academic have turned more than their fair share of heads in 2018. 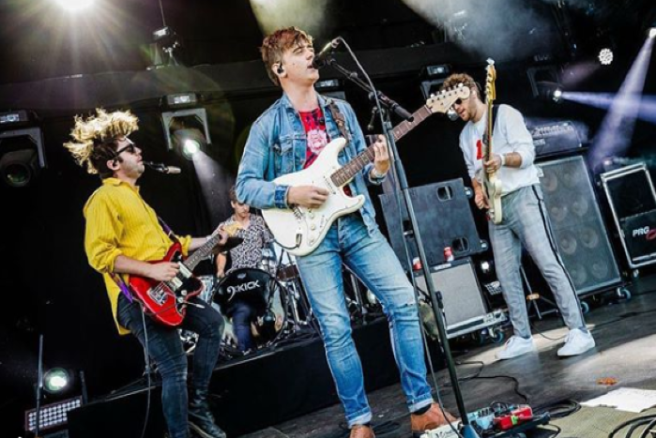 The Westmeath indie rockers have toured with some massive names, released their debut album Tales From The Backseat to critical acclaim, and have played some of their biggest gigs to date. We had a chat with Craig Fitzgerald, lead vocalist and guitar player from the band, to ask him about their fanbase, plans for 2019 and exactly how they capture that infectious energy on stage. The four-piece band have an undeniably dedicated fanbase, clearly responding to lyrics lamenting youth and everything else that comes along with it. The group is comprised of Fitzgerald, Matthew Murtagh on guitar, Stephen Murtagh playing bass and Dean Gavin on the drumkit, and they are all in their early twenties. Tales From The Backseat is a hugely impressive debut, and features some of the catchiest songs around right now. Choosing tracks for the anticipated first album appears to have been a careful affair, the boys recorded most of it in North Hollywood with music veteran Tim Pagnotta. 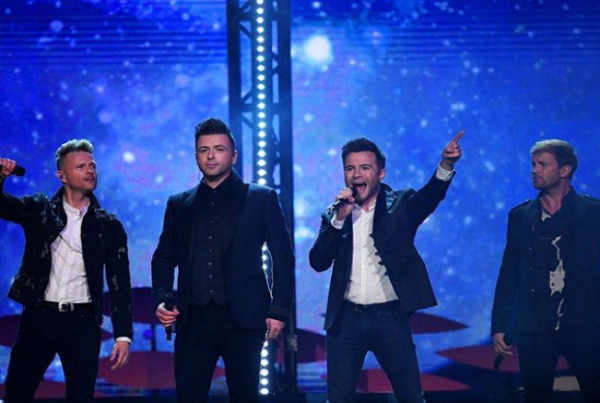 It's no surprise that the musical offering flew to the top of the charts on home soil. We just got the news that our debut album 'Tales From The Backseat' is NUMBER ONE in the official album charts!!! Thank you to every single person who picked up a copy. It's an absolute dream come true for us. 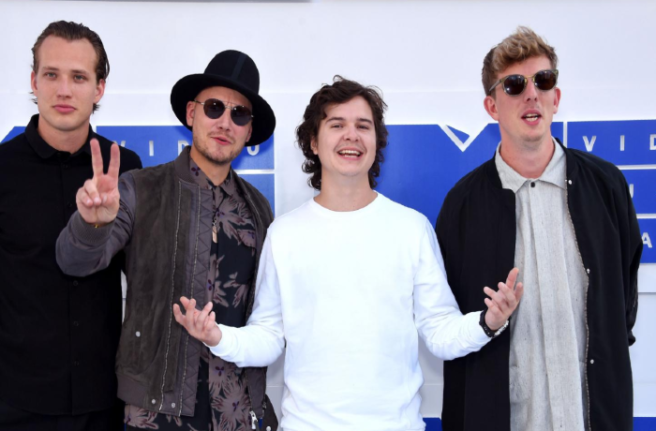 The boys make music with big pop choruses and indie lyrics, and if you're hearing their songs for the first time, you'll know every word by the time the track concludes. The lead vocalist and his bandmates have a clear talent for writing music which garner a youthful audience, but does he feel the fans will grow alongside the group? "I definitely think so. In the first album, there were songs from when we were young, so it made sense. The songs seemed to resonate with younger people. 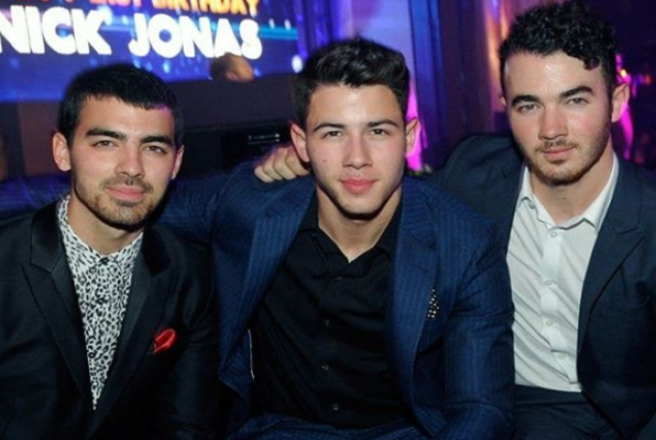 We would like to mature our sound, and that would hopefully intertwine with the fans getting older." They've clearly figured out how to find comfort on stage, effortlessly show-casing their extensive touring experience. 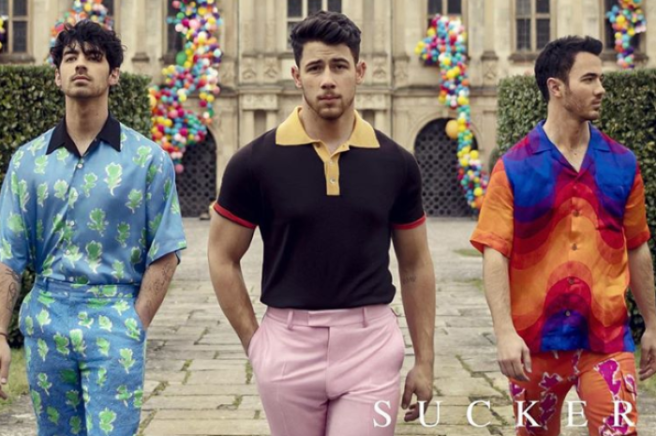 "When we go on tour, we do a lot of meeting the fans, we like to go to the merch table and we like to hear what they thought and we get to say hello," he says. "A lot of the time what amazes me is that the songs are just stories that were specific to me as a teenager, but it’s amazing how someone can adapt the story to something that they’re going through." From tales of fake ID's on nights out, to the turbulent relationships and friendships which parallel adolescence, The Academic paint a relatable picture of the unique energy of that time in a person's life. It's immediately obvious when you see the band play live that they value their fans' enjoyment of music, and nerves are a thing of the past. The band met while still in school, and began gigging once they secured their drummer Dean. Roughly five years later, the lads are essentially pros at what they do, but touring outside of Ireland can be a game-changer for any group or musician. "When we started and we were playing shows, you begin shy and just want to make sure that you get up and play well," the 24-year-old cites about their initial shows. "We’ve been given so many great opportunities to go on long tours, like month long tours in the States and Europe and the UK, and I think particularly when you support so many bands over the last couple of years we’ve become so comfortable as musicians together," he added. "Even more so than when we were just in a shed playing together. I definitely think you lose that scared feeling that you had, because you just have to get up in front of people and play." "That’s one thing I think we’ve learned in the past year, is that if we’re not afraid, people won’t be afraid, and they’ll have a good time with us. When we toured with The Kooks, we just kind of watched them and loved how they were just having fun on stage and it wasn’t too serious." "One thing that I always try to do when I go on stage, is to break down the wall and say let’s not be afraid to make a fool of ourselves." "The whole thing is crazy, like the fact that people are staring at you playing music. They drop their barrier when they see you having fun." "We appreciate everyone for all their weird and wacky stuff. Music makes them feel a certain way and we appreciate that no matter what it is or whatever song it was that made them attached to us." Despite their youthful tracklist, high-energy set and the fact that they've only released their debut album this year, the lads have been penning tunes since they were in their mid-teens. "I’ve been writings since the age of about 15/16, and a lot of those songs are actually on the first album.I think in the beginning, so it’s five years now of song-writing experience, there’s a naivety and you’re not afraid to do anything. Then you start picking up tricks," he muses. "The one thing I have learned now that we’ve been a band for so long, is that I always want the music to be catchy. One thing I’ve learned is that if it’s catchy, don’t be afraid of it." "That’s what people want to come and see, they want to sing along. You shouldn’t lose your innocence about song-writing, you can still think of crazy things and put them in," the vocalist says. "The beauty is in the imagination, use it, and don’t be afraid to think outside the box. It’s very important." When we asked Craig where he would be if The Academic was never formed, his answer remains musical, unsurprisingly. "Maybe I would have finished college. I went to BIMM, so I would probably work in a musician’s field. Probably in the studio, that was nearly just as strong as songwriting for me. I enjoyed playing with bands too much, so I made that decision." Thank God he did, for our sakes at least. After catching their big break after releasing Different from their first EP, radio stations took notice, and it all took off from there. The rest was indie-pop history, but do the lads ever disagree with each other? "We’re not on the same page all the time (laughs). We usually are in sync when we know a song is good. If a song is obviously screaming out ‘Hey, I’m a good song’, we’re all on board. If there’s a more moody song or more emotional song, that’s when you can have arguments." "We’ve always written songs together and made sure that everyone’s happy. We’d never really go ahead with a song if one member wasn’t fully happy." Creating absolute bangers and remaining diplomatic? Fair play boys. We also wanted to know if there's a band out there that Craig would join, you know, if The Academic didn't exist of course. Which would be tragic. "That’s a really good question, I’ve never been asked that before. We have a band on tour with us as support called Inhaler." "The reason I enjoyed that band is that it’s so nice watching them because they’re like us four years ago. I’d love to step back to where they are now, getting support slots, heading out and being brand new again. That would be fun. Or else Fleetwood Mac would be great." If you're wondering what 2019 will bring for the boys, it's some exciting new shows and a return to the studio to nail down some of the material written on the road. 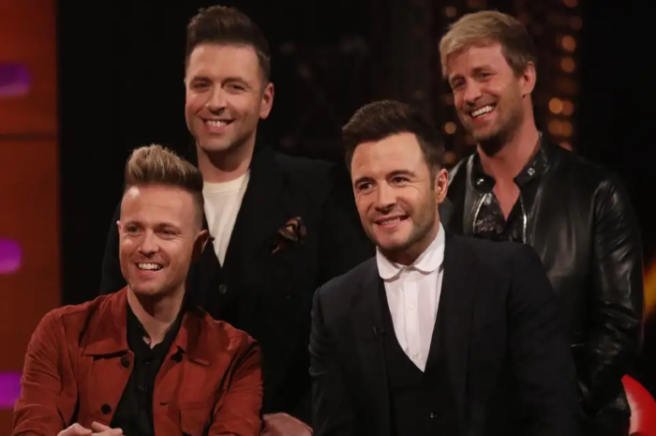 The band will be making a big return to Iveagh Gardens in July, one year on from their concert at the famous outdoor venue, with some brand new (as yet unrecorded) music. "What I would say we’re really excited about at the moment, is that we haven’t had any studio time in about a year. 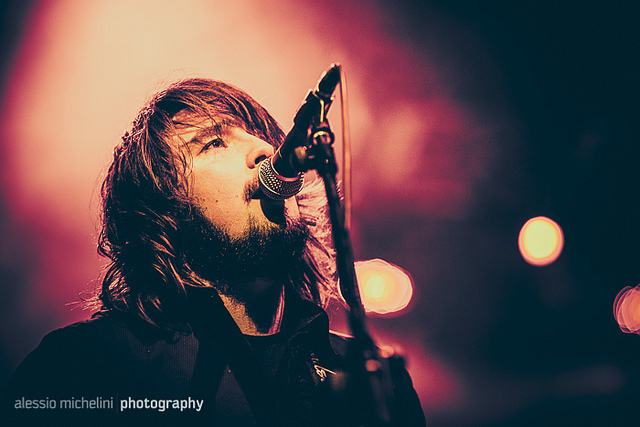 We’ve been writing songs on the road but we haven’t gotten to play them at all." "I’d have to say, I think we’re all pretty blown away by the weekend we’ve just had. Two Vicar Street gigs and a headliner in Limerick, it was three in a row and every night was brilliant. It got better every time. We’re all still on a high." The Academic have made some incredible memories in 2018, but they're just getting started. They were the rock 'n' roll kings that hailed from Count Cavan, so the news today that The Strypes have spilt is pretty heart-wrenching. The foursome, formed in 2010, was made up of lead vocalist Ross Lynch, lead guitar Josh McCluskey, bassist Pete O'Hanlin and drummer Evan Walshe. Their rhythm and blues, 1960's-inspired music certainly made a huge impact on the music scene and the announcement has left their legions of fans worldwide in shock. 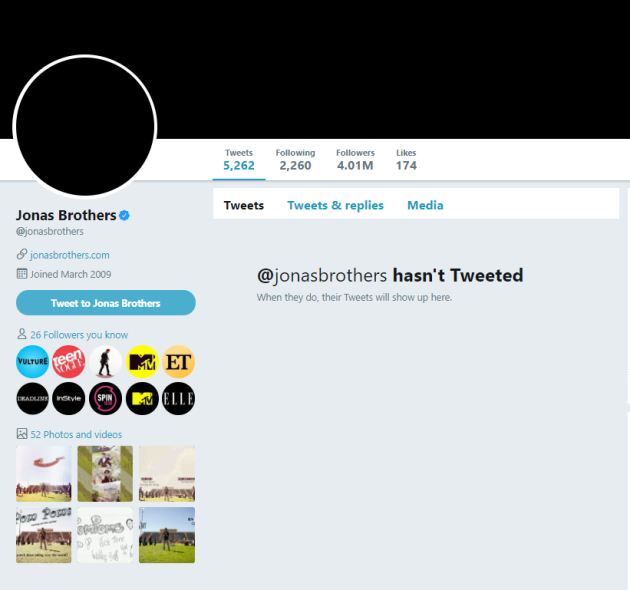 The band took to Instagram to post about their separation. However they also touched on how hard some of it has been, and that there has been highs as well as lows. The outpouring of sadness on social media is a testament to how much they were loved. 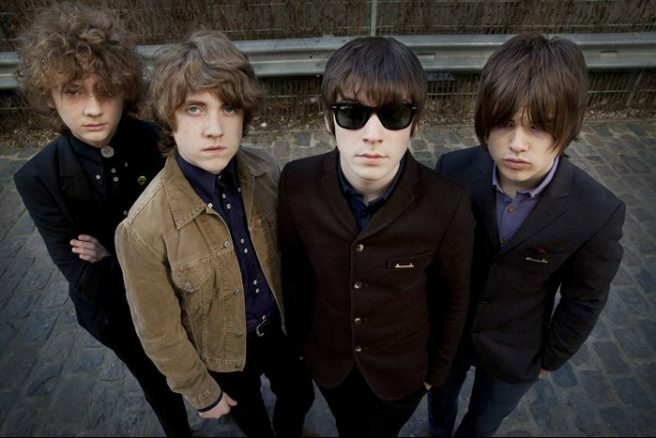 In the copy-and-paste landscape of today's music world, The Strypes stood out with their raw talent and energy. 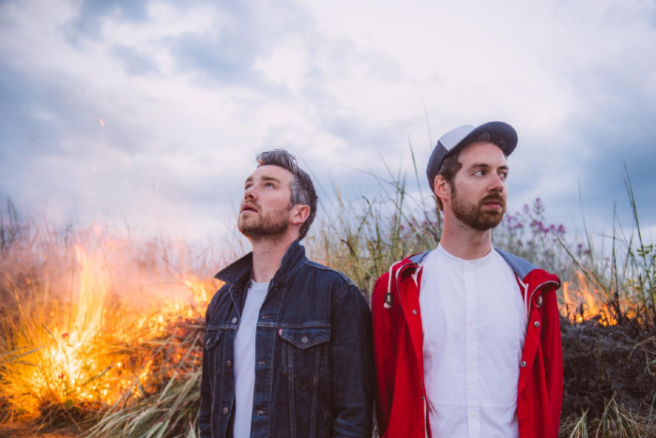 All Tvvins are one of Ireland's biggest new bands, making a steady rise since 2016 with the release of their debut album llVV, which debuted at number two on the Irish charts. They are now returning to the stage to anticipate the unveiling of their second album Just to Exist, giving us a taste with their newest single Hell of a Party. Judging by how UNREAL their most recent tune is, the album is going to blow everyone away. Keep a sharp eye out for these boys, the duo are definitely going places. The duo are stepping up a gear, announcing support from talented Dublin singer-songwriter Sorcha Richardson for their major headline gig at the National Stadium Dublin. The band plan on evolving their fresh and fluid style of creativity, pushing the boundaries of their sound whenever they can. The band, comprising of Conor Adams and Lar Kaye, are signed with Warner Music, and have also decided to gift us with another forthcoming album track ‘Warm Crush’ as well as a skeletal acoustin version of Infinite Swim. These lads just keep on giving. The album process was kick-started by McMorrow, who contacted the boys about working on a new track together. 'Twould be hard to say no. 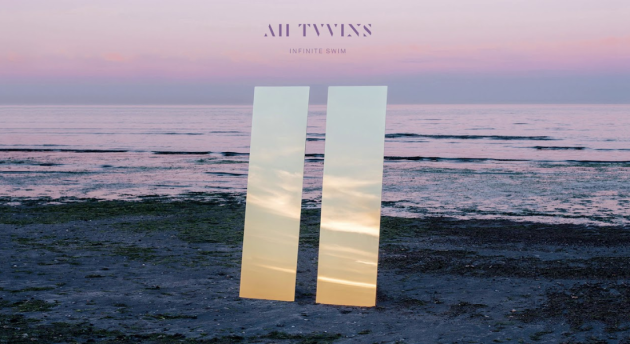 It’s a heady cocktail of taut, muscular funk which maintains the typically anthemic All Tvvins sound, adding a Prince-style solo. The momentum is rising for the band with their forthcoming second album and a headline show at The National Stadium, don't miss out on a chance to see the duo live. The gig with support from Sorcha Richardson will take place on Saturday 13 April 2019. Tickets from €27 on sale Tuesday 6 November at 9am, doors open 7pm. The Riptide Movement will play Vicar Street on Saturday, 1st December. Tickets are priced at €25, which is inclusive of booking free, and will be on sale from the 5th of July at 10am from Ticketmaster.ie. The announcement follows the release of their new single, Plastic Oceans. Plastic Oceans was recorded in London with producer Chris Coady (Future Islands, Slowdive) and has a firm backbone of the kind of melodic indie rock that has seen the band build a strong following in their native Ireland, clocking up various #1 records. The band will continue their heavy touring schedule this summer, putting in appearances in coastal areas. They will be using their latest single to spread the important environmental message that our beaches, coastlines, rivers, cities and towns need to be kept litter and plastic free if we're to stop the oceans from becoming even more polluted by plastic waste. Visit www.ticketmaster.ie for Vicar Street tickets from July 5th. Indie-pop band The Drums is joining the extensive list of amazing musicians playing in the Emerald Isle this year. The band is coming to Ireland on October 3 as part of their brand new album tour. 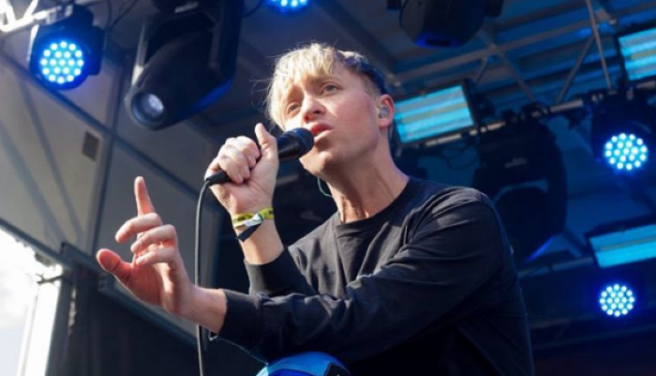 Three years after the release of their third record, the The Drums are celebrating their 4th album "Abysmal Thoughts" with the UK and Ireland tour. The group have announced that they have signed with Anti Records, according to MCD, and revealed the details of their fourth album. “Abysmal Thoughts”, which will be released on June 16. “I said I wanted to let life happen? Well, the universe listened and life began to f*** me real good," said band founder Jonny Pierce of thr new album. Tickets are €20.00 including booking fee, and go on sale this Friday at 9am from Ticketmaster. We're looking forward to becoming immersed in the band's new sound.